Ashburton, 9 Wilkin Street, Tinwald | Ashburton's Premier Property Team. Pair up with us, we'll knock your socks off! This gorgeous, spacious Dream Home needs to be viewed to appreciate the numerous qualities it has to offer. Beautifully presented throughout, modern kitchen overlooking the lovely open plan living/dining area which connects through double doors into the large lounge, all interconnecting out to the private sunny and tranquil patio and superb garden area, ideal for family and friends to relax and enjoy. Four spacious bedrooms, large master bedroom with ensuite and good wardrobe space. Separate laundry leading out to the internal access double garage creating easy access. 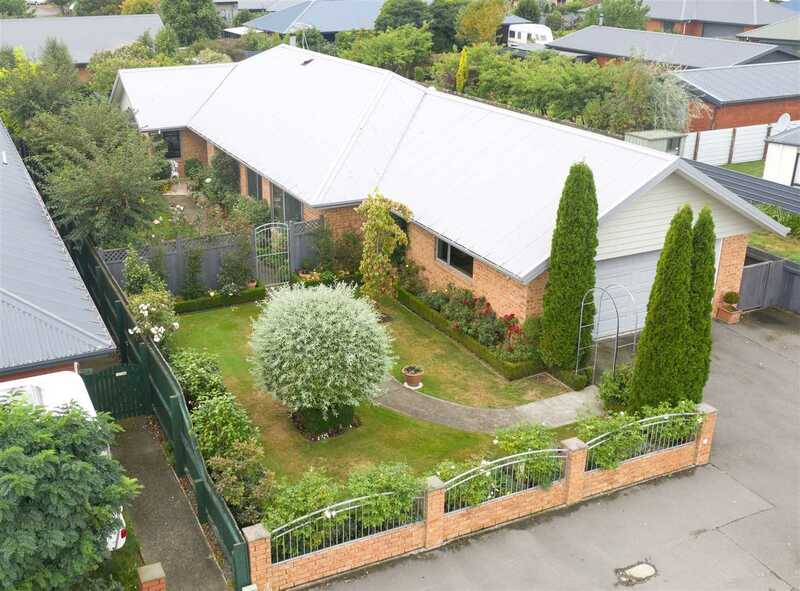 Fully fenced back yard, glasshouse and garden shed. This property has been well cared for and loved by the present and only owners, who are very proud to have had several garden awards in the past few years. Tranquil, spacious, private and sunny this is a must see. Make your appointment today this is an opportunity not to be missed. Saturday 27 Apr 10:45 a.m. - 11:30 a.m.
Chattels remaining: Blinds, Fixed floor coverings, Light fittings, Stove, Curtains, Drapes. Bathroom wall heater in ensuite. Dishwasher. Heat pump. Log fire. Gas hobbs. Fly screens. Garden shed. Clothesline. Glass house. Nitestore. Two cupboards in garage. Dishdrawers. Entrance: Foyer. Front door has a security/screen door. Fixtures/chattels excluded: Freestanding cupboard in laundry. Free view aerial. Work benches. Two concrete seats. All plants in pots. Two double cupboards in garage.